Disclosure: Party of 5 was provided a complimentary stay, tickets, and food during our trip. All opinions are my own. When we look for a weekend family getaway, I always try to find some place that has something for all 6 of us to do. Keeping busy and having fun as a family is super important to me. 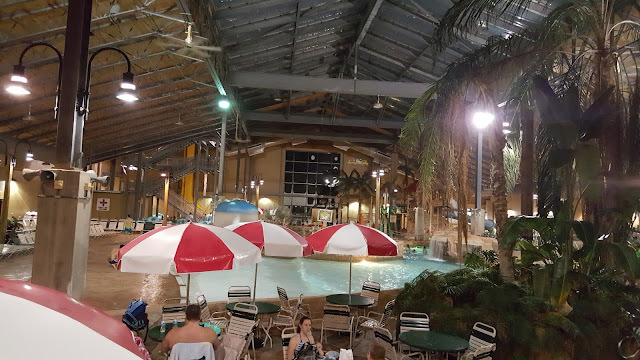 Recently we were invited on a weekend getaway to Split Rock Resort in Lake Harmony, PA. Many years ago we had gone to just the water park and were excited to be able to check out all of the other amenities they had to offer. 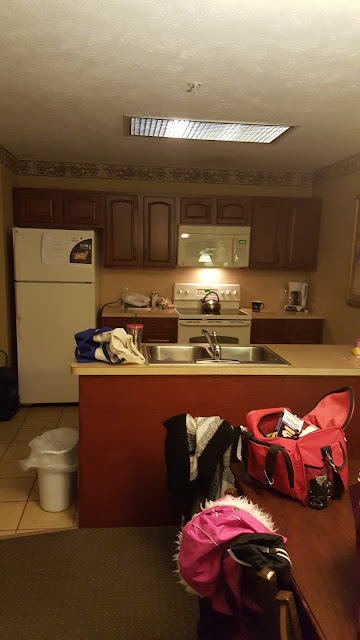 For our stay we stayed at the Willowbrook Suites which featured 2 adjoining suites. Each featured a full kitchen, dishwasher, living room, bathrooms and a bedroom featuring a queen size bed. This turned out to be perfect for our family of 6. We kept the kids in the one suite and Hubs and I took over the other. 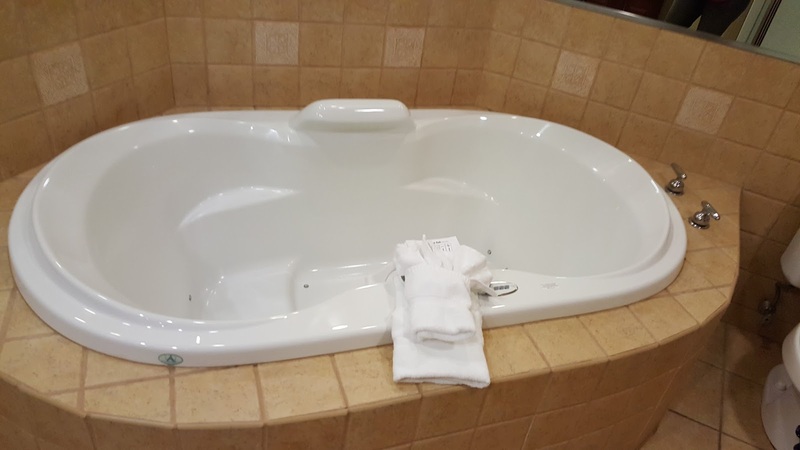 The one bathroom had an amazing jacuzzi tub that I may or may not have spent over an hour in. They offer a variety of accomodations to suit your needs. 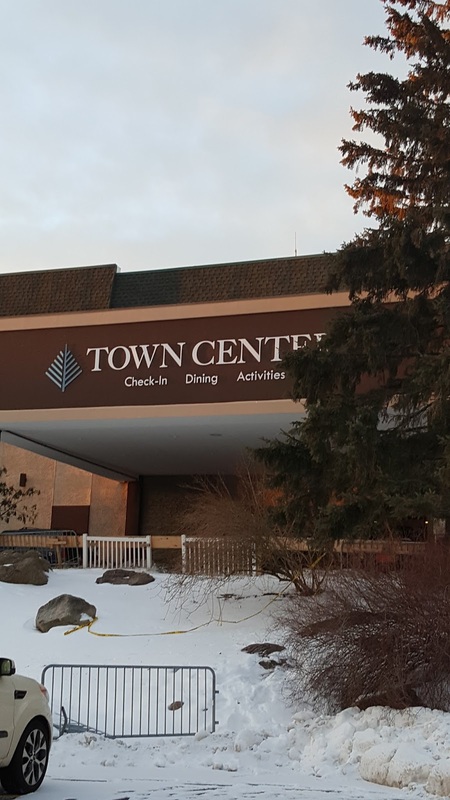 Something we didn't anticipate was that the Willowbrook Suites was a short drive from the Town Center, which is where dining, stores, movie theater, bowling alley, and the indoor water park, H20 are located. They have a list of activities that will keep the kids busy. A majority of the activities do require an additional fee but if your Hubs and oldest are skiing and the littles don't, hit up a movie to pass the time. The theatre offers 2 or 3 current movies that you are bound to want to see. 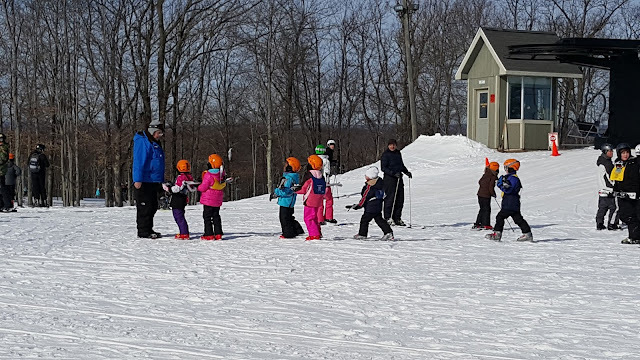 We also took the kids skiing for the first time at Jack Frost where they offer ski lessons for kids. Both Peyton and Olivia enjoyed their lessons even after Olivia had a mishap and needed to go to the ER for some staples in her knee. During the summer they offer tons of outdoor activities such as fishing and boating on Lake Harmony. We hope to head back to Split Rock in the summer to check out the outdoor activities as well. Make sure when planning your next family trip you check out Split Rock to see all that they have to offer all year round. They frequently offer specials which you can find here. If you are Military, Government or a AAA card holder you may also qualify for a discount.